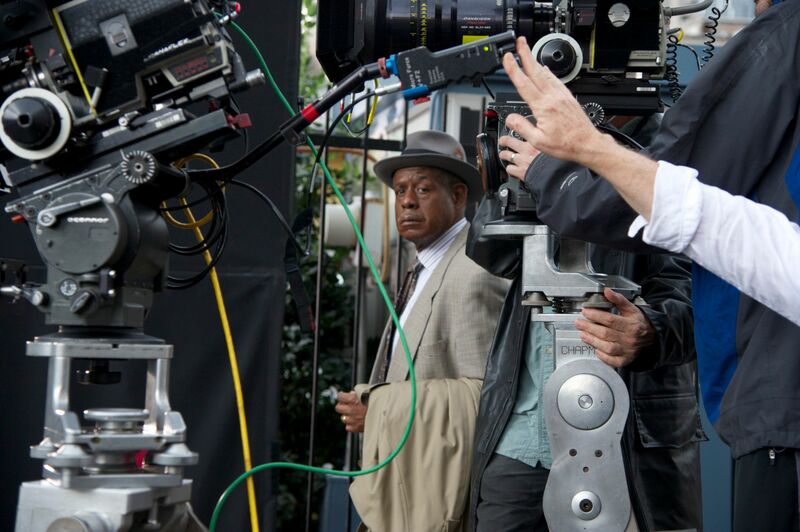 The Weinstein Company has picked up distribution rights for Precious director Lee Daniels’ period drama The Butler. The film tells the true story of Eugene Allen, a butler who served at the White House from 1952 to 1986, and Daniels has filled his supporting cast with a number of familiar faces to play the notable persons who walk the halls of the White House throughout this period. The stars of the film, however, are Forrest Whitaker as Allen, Oprah Winfrey as his wife, and David Oyelowo as his son. Though one might think this is an early awards contender acquisition, Daniels’ latest film The Paperboy has been viciously panned this year so it’s with cautious optimism that I approach The Butler. The film is being readied for release sometime in 2013. Hit the jump to read the full press release and the check out a new image of Whitaker in character. The film also stars Mariah Carey, John Cusack, Jane Fonda, Cuba Gooding Jr., Terrence Howard, Minka Kelly, Lenny Kravitz, Melissa Leo, James Marsden, Alex Pettyfer, Vanessa Redgrave, Alan Rickman, Live Schreiber, and Robin Williams. New York, NY – September 24, 2012 – The Weinstein Company (TWC) announced today that they have acquired U.S. rights from Butler Films to distribute THE BUTLER, directed by Academy Award nominated Lee Daniels (PRECIOUS). A Laura Ziskin Production, THE BUTLER is produced by Pamela Oas Williams, the late Laura Ziskin, Lee Daniels, Buddy Patrick and Cassian Elwes. Executive Producers include Hilary Shor and Adam Merims. It is co-produced by David Jacobson. The announcement was made today by TWC Co-Chairman Harvey Weinstein and COO David Glasser. THE BUTLER, based on the screenplay by Danny Strong & Lee Daniels, is inspired by Wil Haygood’s Washington Post article about an African-American man who served as a butler (Whitaker) to eight Presidents in the White House for over thirty years. From this unique vantage point, THE BUTLER traces the dramatic changes that swept American society, from the civil rights movement to Vietnam and beyond, and how those changes affected this man’s life and family. The film is currently in production in New Orleans. THE BUTLER is financed by Windy Hill Pictures, Follow Through Productions, Salamander Media, Salloway Rubenstein Productions/Crystal City Entertainment, Earl W. Stafford, Starstream Films, Yogi Entertainment, and Inner Media Capital. Executive Producers are Michael Finley, Sheila C. Johnson, Brett Johnson, Matthew Salloway, Earl W. Stafford, Jordan Kessler, Liz Destro, R. Bryan Wright, and James T. Bruce IV. Co-Executive Producers are Charles Sauveur Bonan, Allen Frederic, Kim Leadford, Harry I. Martin, Jr., Ari Daniel Pinchot and Jonathan Rubenstein. As previously announced, THE BUTLER marks a high-profile return to production for Icon UK Group, who also came in as major investors on the project. Len Blavatnik, Aviv Giladi and Vince Holden will also serve as Executive Producers. CAA packaged the film and is handling North American sales along with Cassian Elwes. The film is being represented by IM Global for international sales.